If you are a chef, or just interested in knives, you may wish to know which knives, and knife types, will serve you best in the kitchen. If you are a chef you know that there are so many different things you do in the kitchen that each require a different function, and moreover, a different knife function. One important knife in the kitchen is aptly named, the chef’s knife. The chef’s knife is responsible for allowing you to dice, chop and slice any basic ingredients with ease and swiftness. This is why the chef’s knife is so important, because it’s basically, a multitool. Wit the right chef’s knife, you should be able to chop ingredients for most basic recipes. The utility knife is a kitchen knife that should also not be ignored. A utility knife is great for coring fruits and vegetables, or also trimming the excess fat off of meat. This is also a multitool kind of knife, and will be in the repertoire for anyone that cooks with any kind of frequency. This is another go-to knife that you should be able to get online or at a homegoods store. Another knife that is a bit more specialized for specific kitchen uses is called a paring knife. 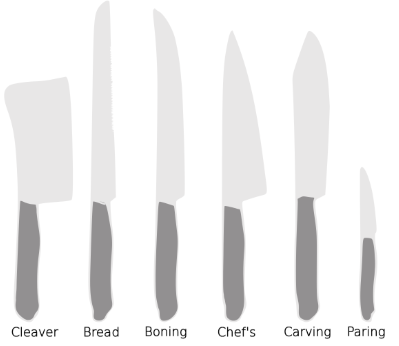 A paring knife is smaller than a lot of other knives but is particularly steady and shrewd. This knife can often be used to cut smaller fruits and smaller vegetables. Basically, if you need to use precision to slice a smaller object, the paring knife is your go to. 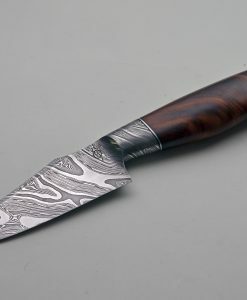 A boning knife is another more specialized kitchen knife you may be interested in. The right boning knife should be sharp, agile and flexible. Furthermore, it should give you, the knife user, control when using it. So what is it used for? Well, often, boning knives are used to break down a whole chicken or other animal, or if you need to butterfly pork or lamb chops. A bread knife is another type of knife you will need in a complete kitchen. A bread knife should be long wita jagged blade, perfect for cutting even the thickest, crustiest breads. If you are a baguette lover, you will need an especially sharp, jagged edge to the blade of your bread knife. A bread knife may not seem like the most necessary kitchen knife, but it’s worth it if you consume a lot of carbs. Another knife you may need is a butcher’s knife. 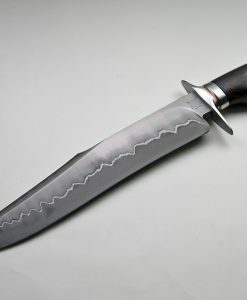 This knife is known for its wide girth and also its clip point. This allows for the knife to have maximum precision when trimming meat, for example. Even though the name entails meat, however, the butcher’s knife can be used to cut large fruits, like pineapple or even melon and squash. If you are interested in knives in and out of the kitchen, look no further than Exquisite Knives for your next knife purchase or selection. 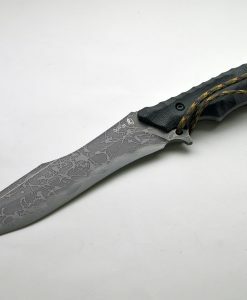 Exquisite Knives has a large offering of custom, handmade knives of all uses and dimensions.